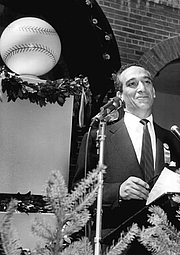 Shirley Povich at Cooperstown, 1955. Married to Ethyl Povich, with two sons, Maury and David, and one daughter, Lynn Shepard. Shirley Povich is currently considered a "single author." If one or more works are by a distinct, homonymous authors, go ahead and split the author. Shirley Povich is composed of 1 name.